This week we are so excited to introduce you to a local business that shares our same value of excellent service and compassion for clients. Here's a little Q+A we did with Robin from the Roggeman Group. Q. Who makes up the "Roggeman Group"? A. We are Brent and Robin Roggeman- a husband and wife team with an affinity for people and Knoxville. Brent, is a Powell native, Realtor, and real estate appraiser, who offers over 14 years of experience in the Knoxville and surrounding markets. I am a Realtor and Senior Real Estate Specialist (SRES) I have a strong background and understanding of the senior and aging population, along with a foundation in marketing. I was previously a nurse with a focus on geriatrics and then transitioned into marketing where I spent the majority of my time in senior living communities. Brent brings much of the traditional real estate knowledge and experience, while I bring the senior focus. We live with our 2 labs and teenage daughter in North Knoxville. Q. What sets you apart from other realtors? A. We view real estate as an experience, not a transaction. We offer our clients a unique perspective. The combination of both of our backgrounds allows us to view the market in a multidimensional way. Aside from the Realtor perspective, Brent sees things with an appraiser’s eye and from that of a native Knoxvillian. I relate much back to my experience with the senior population and the transitions that come with aging. Whether downsizing, moving in with a family member, or joining a senior community, I understand the challenges that are involved. Along with sensitivity, knowledge and experience- we provide our clients with a network of trusted resources to help simplify the process every step of the way. This includes everything from movers, to organizers such as HYD, to contractors and lenders. We found that it takes a lot of the guess work out of things and allows for peace of mind and a smooth experience- especially for those folks that are from out of town or who already have a lot on their plate. Real estate is a big deal and a big decision. We have been there and want buying or selling a home to be the easy part. From the nervous excitement of first time home buyers to the upsizing of the growing family, to investment, commercial, senior transitions and everything in between, we are committed to making it a great experience. 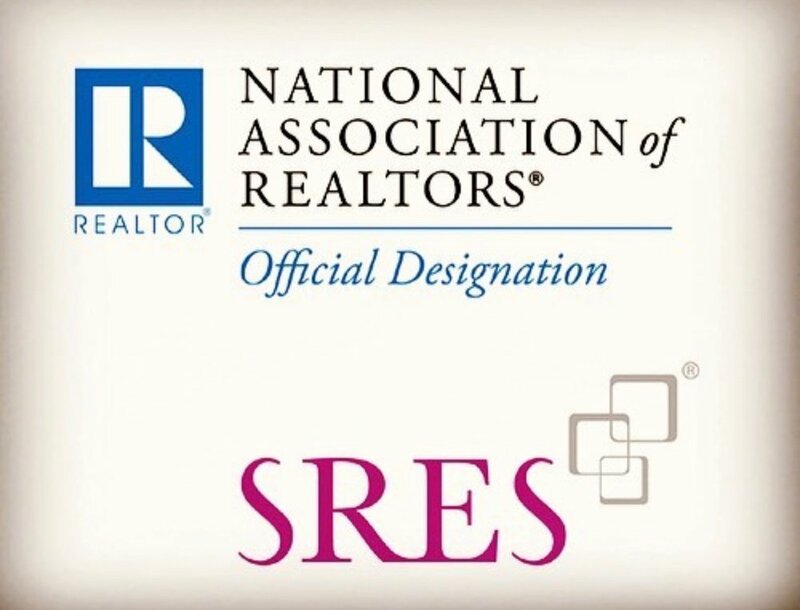 National Association of Realtors Official designation and Seniors Real Estate Specialist® (SRES®) designation. Q. Who are your ideal clients? A. We serve all of the community and try to connect with buyers, sellers, and family members in all stages of real estate. Because of my SRES training and background, I gravitate to the senior community, while Brent serves our more traditional clients. I have a genuine love for the older population and realize that it requires a specific type of conversation, process, and level of support. I have seen the worried daughter, responsible for selling her mom’s house but lives hours away with a full time job and a family of her own, who doesn’t even know how to begin the process. I have seen the couple who celebrates their 50th anniversary in the home they bought when they first got married but recognize that it’s a lot to maintain and it is time to downsize. We also have celebrated the joy of first time home ownership with the newly engaged couple who are excited about beginning to build their lives together. It all comes back to creating an experience and serving as a resource. Q. What do you love about Knoxville? A. The small town feel of a big city. Everything is accessible here. There is a great culture and sense of community that is palpable. We love biking downtown, boating, exploring local restaurants, seeking out live music. There is always something fun and unique to do for families and adults alike. We love the support Knoxville offers to small and local businesses, the arts, and visitors. It is a welcoming place to live and be and we are constantly growing! A. Meeting new people and becoming part of their experience. We are so fortunate that we are able to live and work in a place that we love and have the opportunity to introduce it to new people. We especially enjoy helping folks make their visions and dreams a reality while also helping to make the process easier when circumstances are difficult or emotional. Like their page on Facebook to keep up with them! Q. What is something you wish everyone knew about the population you serve? A. Each segment of the population that we serve has its unique characteristics. The approach we take with first time home buyers is very different than the approach we take with investors. The conversations and methods of communication differ, as well. For example because my passion lies with our senior population, I recognize that it may have been sometime since their last real estate transaction or maybe they would prefer more face to face communication rather than emails or phone calls. I also find that family members who are handling estates, often shoulder a lot of the work. There can be a lot of emotion involved and I want to do all that I can to help lighten that load for them and their loved one. The take away is that we treat each segment with the same great service and attention, but we tailor it specifically to their needs and expectations. Q. What is a little known fact about you guys? A. Brent and I are very different. Our personalities are almost completely opposite as he is the quiet observer and I’m the social butterfly. He is the analyzer and I am the implementer. It truly serves as a counter balance and equalizer for us both and allows complimentary viewpoints in every situation. It works very well for us personally and professionally. It also means that we laugh a lot and have a really great time together. We take a lot of pride in being partners in every sense of the word. On a personal note it means that I love 90’s music and he loves country. We so enjoyed getting to know Robin and hear about her compassionate heart for her clients. We can't wait to partner together in the future to serve Knoxville with excellence.